Dorothy's Dance Shop in San Antonio, Texas, offers a wide selection of dancing supplies. We stock everything from professional shoes to clothing and tights. Choose the dance gear that's right for you today. When it comes time to hit the dance floor, make certain that you are wearing shoes that support your artistic endeavor. The right pair of shoes will help you mitigate risk to your feet and ankles, while completing your ensemble. 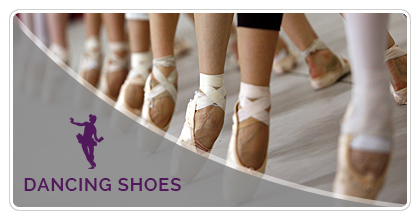 Dorothy's Dance Shop is proud to offer the widest variety of ballet shoes, among other items. If there is a dedicated type of shoe for a dance, we probably have it in stock. Speak with a member of our team to see how we can help you with your dancing apparel needs. The clothes make the occasion. Regardless if you are just starting dancing classes, or are about to put on the biggest performance of your career, having the right dancing apparel on hand can make all the difference. At Dorothy's Dance Shop, all of our employees have hands-on experience in all manners of dance. We understand what you need to look, feel, and perform your best. We go beyond ballet shoes, including everything from tights to belts for men, women, and children.